Well, crawling and indexing web pages are almost same for all the Search engine. Let’s take a look at the number one leading search engine, let’s see how Google Search Indexing works. Bounce Rate is the percentage of visitors to a particular website who navigate away from the site and then leave rather than continuing to view other pages within the same site. This rate is usually considered as a negative light, but when it comes to search results, a higher bounce rate indicates that Google is doing its job. In its analysis, Search metrics found bounce rates have risen for all positions in the top 20 search results and for position 1 have gone from 37% in 2014 to 48%. This suggests that users are being directed to the right result, meaning there is no need to look or search elsewhere. Google considers the these Bounce Rates on the search results. How does Google Search Indexing work? 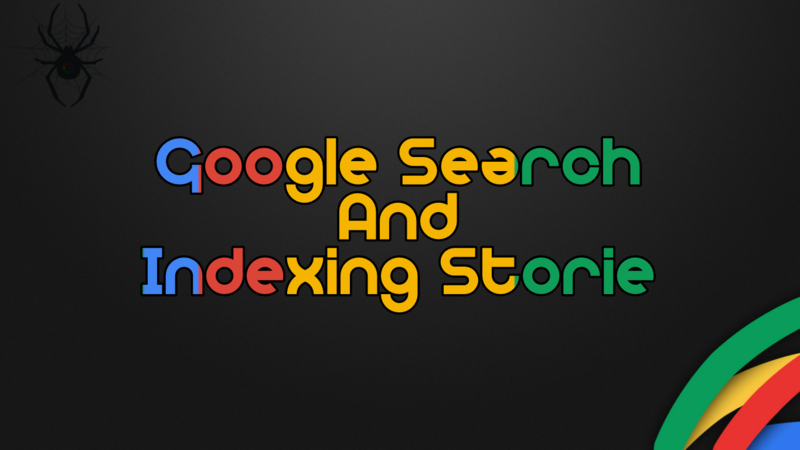 In this post, Let’s see how Google Search Indexing works. Well, Google does it using a program called the Spider. Spiders start fetching from few web pages. Then they follow links(Known as Backlinks) on those sites and fetch those pages too. Spiders fetching goes on like that and all these fetched data are stored and these would be billions and more data. Let’s take a look at Spider in detail. Spiders are the program behind indexing. A Spider is a Web crawling program. It is an Internet bot that systematically browses the World Wide Web, typically for the purpose of Web indexing. Web search engines and some other sites use Web crawling or spidering software to update their web content or indices of others sites web content. Web crawlers copy pages for processing by a search engine which indexes the downloaded pages. Thus users can search more efficiently. Crawlers consume resources on visited systems and often visit sites without approval. There are mechanisms for public sites not wishing to be crawled to make this known to the crawling agent. For instance, including a robots.txt file can request bots to index only parts of a website or nothing at all. The number of Internet pages is extremely large, even the largest crawlers fall short of making a complete index. For this reason, search engines struggled to give relevant search results in the early years of the World Wide Web, before 2000. Relevant results are given almost instantly today. Coming years expect more and more resulting in creations like Google Assistant. Google Assistant is also a good example of the use of Machine Learning. Crawlers can validate hyperlinks and HTML code. They can also be used for web scraping. Crawler continues on indexing and updating its database whenever a new change happens. How Google sorts out the search results? Google fetches as many data’s available and stores it. Now when it comes to search results it’s different. Google won’t show irrelevant search results and they are really strict about it. Think that you are searching for “Laptops and its pricing”, you typed it and hit the search. Google searches its index and finds every page that includes those search terms and comes up with hundreds and thousands of results. Will all these results show up? No. Google now searches for the keywords and how many times these keywords come on that page. It checks whether the keywords are present in the Title, Meta Description, URL and whether there are synonyms for those words. So is this all enough? Having these is not enough as Google also goes through a lot more evaluations. Google make sure whether the URL is a quality Website or of low quality. Page ranking of the page is the next thing that Google checks. Page ranking is on the basis of backlinks that is the number of outside links that point to your page. After comparing all these factors of each page from the billions of results Google give a score for each page. Then google produces the search result according to the score. Google is very strict about this to make sure of their search results. Let’s take a look at Page ranking in detail. Google search results have a lot more things to deal with. When it comes to search results Page ranking of that particular page to show in search results are really very important. This is something that is introduced by Larry Page. Page Ranking depends on up the number of an external link that points towards the page. A page with more number on an external link ( BackLinks ) has more chances to get the top search results for that particular topic. Check out this video. There are a lot more things that Google takes into consideration for bringing a perfect search result for their users. Search engines are capable of producing the search results according to where you leave, what you would like, and a lot more. They would be knowing our likes and dislike more than anyone else. The best part is this that it just takes a matter of few seconds for producing the search results. Click here for More SEO Related Posts. Google Search Indexing is really so vast that I need to stop it here, I hope after reading this you might have got an idea of designing your blog posts. See you soon in the coming posts.